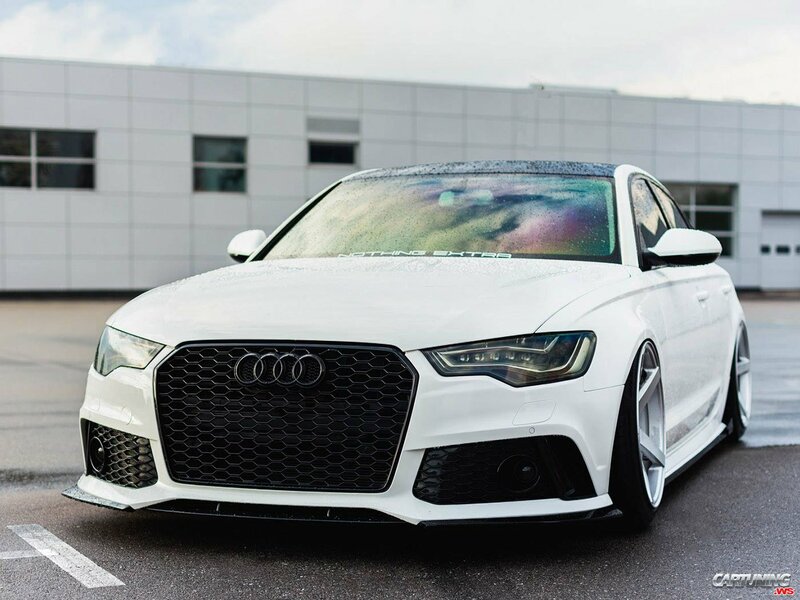 White sedan A6 C7 on air suspension from Ukraine. Lowered long cars, like A6, always are looking awesome. Else lowered car needs better wheels.